Today’s post focuses on bone health and missing teeth in Comstock Park. Our teeth have many important functions and we need them to chew our food, talk, and smile. But have you ever considered their role in holding up your face? When we lose teeth, the bone around the site of the extraction begins to shrink. This, in turn, causes our facial muscles to sink in. We sometimes think of bone as a solid mass, unlike the softer tissues in our body. In reality, below the seemingly rock-hard surface, bone tissue is full of small holes – kind of like a sponge. In the interior bone tissue, the bone is consistently regenerating itself. This important process is sometimes called “bone metabolism.” In the jaw bone, the movement of the teeth stimulates this process of rebuilding. When the tooth is gone, the bone starts to shrink as blood flow is reduced. People with missing teeth not only have a gap in their smile, but they also begin to look older because of the bone recession and eventual facial sagging. It is not simply an issue of attractiveness – it also poses serious health dangers. It may become difficult to chew food, making it harder to get adequate nutrition. Mental health can also be affected when a patient with missing teeth loses confidence or withdraws from social situations because they are self-conscious about their smile. Dental implant technology provides a tooth restoration solution that maintains healthy bone metabolism while providing near-normal tooth function. For patients missing many or all of their teeth, it may not be possible to replace every single tooth with an implant. In many of these cases, dental implants can be used to provide an anchor for a partial denture. What if your bone has shrunk so much that there is not enough to support an implant? You may be a candidate for bone augmentation or bone grafting. This procedure is routinely carried out with success. If you are missing teeth, don’t resign yourself to dentures. Tooth implants can provide a brilliant smile! Schedule a consultation with Stewart & Hull Aesthetic & General Dentistry by calling 616-784-2377. Our practice also offers patients services such as teeth whitening, dental crowns, Invisalign orthodontics, and porcelain veneers. Dental Health: Are You At Risk For Bone Recession in Comstock Park? Today’s post looks at bone recession. Occasionally, a patient experiences bone recession in their jaw which can cause tooth loss and other troubles. However, it is generally the other way around. The bone loss occurs as a result of a lost tooth because the blood supply and stimulus required for maintaining healthy bone is taken away. 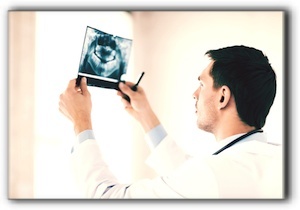 Let’s look at a few common causes for jaw bone recession in Comstock Park, Belmont, Grand Rapids, Sparta, Walker, and Rockford, MI. Your bone is a living tissue and needs stimulation to stay healthy and retain its size and density. Biting, chewing, talking and all the other normal mouth functions keep the portion of the bone surrounding the tooth root healthy. When a tooth is extracted, the bone that used to anchor the tooth root recedes as if it understands that it is no longer needed. 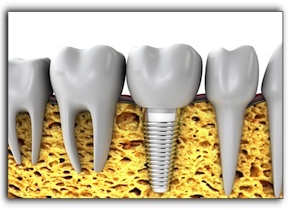 A dental implant provides stimulation similar to that of a natural tooth and can prevent bone recession. A gum infection can result when gum inflammation goes untreated and progresses to periodontitis. With periodontitis, the gums pull away from the teeth creating pockets which provide the perfect breeding ground for the dangerous infection. Gum infections can proceed undetected, though there are usually warning signs. Swollen, painful gums, loose teeth, and gums that bleed when brushed are symptoms of periodontitis. The infection dissolves bone as the gums pull away from the tooth. Inadequate oral hygiene increases the risk of gum disease but other factors can compromise gum health. These include smoking, hormone levels, diseases that lower immune system effectiveness, medications that cause dry mouth, and genetic predisposition. If you suspect that you have periodontitis, schedule an appointment with our office for a thorough evaluation and we’ll discuss gum disease treatment options with you. An abscess is a pus-filled pocket of infection that occurs in the nerve and roots of a tooth. As the infection attacks the tooth, bone, and tissue it creates a space that fills with pus. There are several treatments for a tooth abscess including antibiotics to kill the infection, a root canal, or extraction if needed. If you have experienced bone recession due to gum disease or an abscess, or if you have had a tooth extracted please call our office to discuss your options. You may benefit from a dental implant, soft tissue grafts, or bone grafts. At Stewart & Hull Aesthetic & General Dentistry in Comstock Park, dental implants can significantly improve your quality of life and prohibit further recession. Call 616-784-2377 to make an appointment for an informative exam and consultation.